Chorzów [ˈxɔʐuf] (German: Königshütte [ˈkøːnɪçsˌhʏtə]; Silesian: Chorzůw) is a city in Silesia in southern Poland, near Katowice. Chorzów is one of the central districts of the Upper Silesian Metropolitan Union - a metropolis with a population of 2 million. 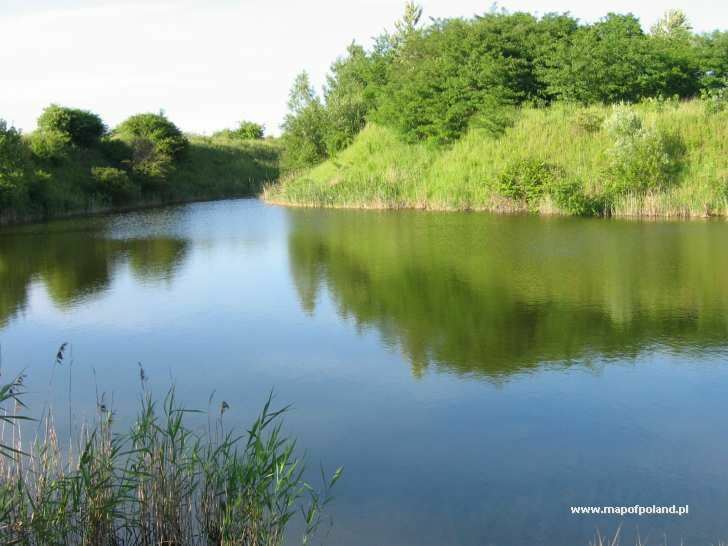 It is located in the Silesian Highlands, on the Rawa River (a tributary of the Vistula). Administratively, Chorzów is in the Silesian Voivodeship since 1999, previously Katowice Voivodeship, and before then, the Silesian Voivodeship. 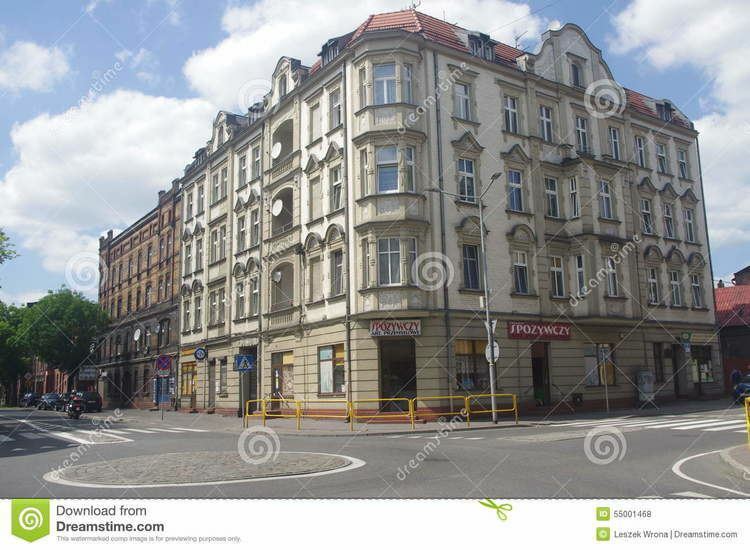 Chorzów is one of the cities of the 2.7 million conurbation - the Katowice urban area and within a greater Silesian metropolitan area with the population of about 5,294,000 people. The population within the city limits is 113,162 (June 2009). 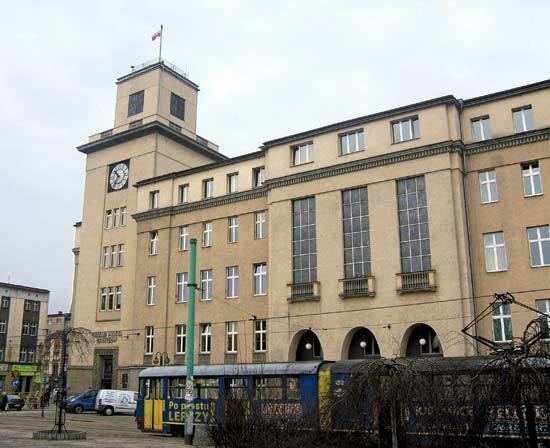 The city of Chorzów was formed in 1934-1939 by a merger of 4 adjacent cities: Chorzów, Królewska Huta, Nowe Hajduki and Hajduki Wielkie. The name of the oldest settlement Chorzów was applied to the amalgamated city. The etymology of the name is not known. Chorzów is believed to be first mentioned as Zversov or Zuersov in a document of 1136 by Pope Innocent II as village with peasants, silver miners, and two inns. Another place name likely indicating Chorzów is Coccham or Coccha, which is mentioned in a document of 1198 by the Patriarch of Jerusalem, who awarded this place to the Equestrian Order of the Holy Sepulchre of Jerusalem. Chorzów is then mentioned as Chareu or Charev in 1257 and then Charzow in 1292. The last name may originate from the personal name Charz, short for Zachary and may mean Zachary's place. The a in the early names may have been later modified to the current pronunciation with o perhaps due to similarity to the common adjective chory=ill and a presence of a hospital (which was moved in 1299 to Rozbark at the gates of Bytom). Today, the place of the old village is a subdivision called Chorzów III or Chorzów Stary = the Old Chorzów. The industrial and residential settlement south-west of Chorzów constructed since 1797 around the Royal Coal Mine and Royal Iron Works was named Królewska Huta by the Poles or Königshütte by the Germans, both names meaning Royal Iron Works. As it was growing quickly this settlement was granted city status in 1868. Today this neighbourhood is called Chorzów I or Chorzów-Miasto meaning Chorzów Centre. The etymology of Hajduki is ambiguous and is interpreted as either related to the German word for moorland (German: die Heide), or adopted from the German/Polish/Silesian term for hajduk(s) (Polish (plural): Hajduki; German (singular): Heiduck), which locally meant bandits. The place was first mentioned in 1627 as Hejduk and shown on 18th century maps as "Ober Heiduk" and "Nieder Heiduk" (i.e., Upper and Lower Heiduk). The later names Hajduki Wielkie and Nowe Hajduki mean Great Hajduks and New Hajduks, respectively. The two settlements were merged in 1903 and named after the Bismarck Iron Works Bismarckhütte. When the international borders shifted, the name of Bismarck was replaced with the name of the Polish king Batory (so-chosen to preserve that initial "B", which appeared on an economically important local trademark). Today this city subdivision is called Chorzów IV or Chorzów-Batory. In the 12th century, the castellany of Bytom, including the Chorzów area, belonged to the province of Kraków. In 1179 it was awarded by Duke Casimir the Just to the Duke of Opole, and since that time the history of Chorzów has been connected to the history of Upper Silesia (Duchy of Opole). The oldest part of the city, the village of Chorzów, today called Chorzów Stary, belonged since 1257 to the Equestrian Order of the Holy Sepulchre of Jerusalem. Already at that time silver and lead ores were mined nearby, later also the ores of iron. There is more documentation for 16th century developments. From 1327, the Upper Silesian duchies were ruled by the dukes of the Piast dynasty and were subject to Bohemian overlordship. The Crown of Bohemia elected Polish-Lituanian Jagiellons kings from 1471 and Austrian Habsburgs kings after 1526. In 1742, the area was conquered by the Prussian Hohenzollerns in Silesian Wars, setting the stage for the Prussian industrial might. The Prussian and then German period lasted for about 180 years and overlapped with the time of rapid industrialization. 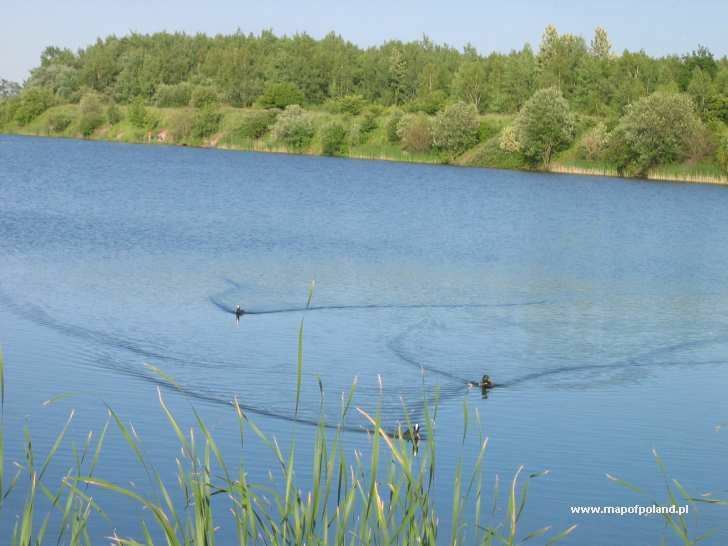 With the discovery of bituminous coal deposits at the end of the 18th century by a local church priest, new industrial sectors developed in the Chorzów area. In the years 1791–1797 the Prussian state-owned Royal Coal Mine was constructed (Kopalnia Król, Königsgrube, later renamed several times with the changing political winds). In 1799, first pig iron was made in the Royal Iron Works (Królewska Huta, Königshütte). At the time, it was a pioneering industrial establishment of its kind in continental Europe. In 1819 the iron works consisted of 4 blast furnaces, producing 1,400 tons of pig-iron. In the 1800s the modern Lidognia Zinc Works was added in the area. In 1871 the iron works were taken over by the holding called Vereingte Königs- und Laurahütte AG für Bergbau und Hüttenbetrieb, which added a steel mill, rail mill and workshops. In the vicinity of the Royal Coal Mine, Countess Laura Coal Mine was opened in 1870, and by 1913–1914 coal production increased to 1 million tons a year. In 1898, a thermal power plant was commissioned which was, until the 1930s, the biggest electricity producer in Poland with power of 100 MW (electrical). Today, it operates as "ELCHO". In 1915, nitrogen chemical works (Oberschlesische Stickstoffwerke) were built nearby to produce fertilizers and explosives by newly invented processes: from air, water and coal (see Haber-Bosch process). Today, it operates as "Zakłady Azotowe SA". Settlements grew near the new coal and iron works. Since 1797, one group of settlements was called Königshütte (Królewska Huta in Polish) after the iron works. In 1846 Królewska Huta received a railway track to Świętochłowice and Mysłowice, in 1857 to Bytom and till 1872 to all major cities in the Silesian region. 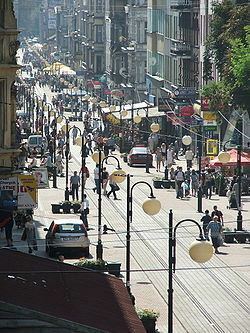 Królewska Huta received city status in 1868 as part of Bytom County, and in 1898 it was made a separate city-county. The population of Królewska Huta was increasing rapidly: from 19,500 inhabitants in 1870 to 72,600 in 1910. Among them 17,300 workers were employed in the industry (similar number for 1939). The population spoke mostly Silesian or German. In the village of Hajduki Wielkie, just south of Chorzów and Królewska Huta, Bismarck Iron Works (Bismarckhütte), were opened in 1872, later called Bathory Iron Works (Huta Batory). A large carbochemical plant was started in 1889, the first such chemical plant in what was to later become the Polish state. Today the company operates as "Zakłady Koksochemiczne Hajduki SA". Towards the end of 19th century, Chorzów experienced a revival of Polish national feelings. Ethnic tensions were mixed with the religious and class conflicts. Karol Miarka was the editor of Polish books and newspapers including Katolik (The Catholic) published in Królewska Huta since 1868, Poradnik Gospodarski since 1879. He was also the founder of several organizations: Upper Silesian Union, Upper Silesian Peasants Union. Juliusz Ligoń was a Polish activist and poet. In the Upper Silesia plebiscite a majority of 31,864 voters voted to remain in Germany while 10,764 votes were given for Poland Following three Silesian uprisings, the eastern part of Silesia, including Chorzów and Królewska Huta, was separated from Germany and awarded to Poland in 1922. Migrations of people followed. Because of its strategic value, the case of the nitrogen factory Oberschlesische Stickstoffwerke was argued for years before the Permanent Court of International Justice, finally setting some new legal precedences on what is "just" in international relations. In 1934, the industrial communities of Chorzów, Królewska Huta and Nowe Hajduki were merged into one municipality with 81,000 inhabitants. The name of the oldest settlement Chorzów was given to the whole city. In April 1939, the settlement of Hajduki Wielkie with 30,000 inhabitants was added to Chorzów. In part due to the German-Polish trade war in the 1920s, the industry of Chorzów, a border city at that time, stagnated until 1933. In 1927, a division of Huta Piłsudski was separated into a company making rail cars, trams and bridges; today it operates as Alstom-Konstal. The State Factory of Nitrogen Compounds (Państwowa Fabryka Związków Azotowych) was in 1933 merged with a similar company (largely its copy) in Tarnów-Mościce. On the day of the outbreak of World War II in September 1939, Chorzów was taken by Nazi Germany. Polish irregulars, mainly Silesian uprising veterans and Scouts, put up resistance to the regular German forces for three days, most of them were murdered in mass executions. Polish property was confiscated, and Chorzów (with the balance of Polish Silesia) was promptly re-incorporated into German Silesia (Preußische Provinz Schlesien, from 1941 Oberschlesien); the Upper Silesian industry being one the pillars of the Nazi Germany war effort. There were several enforced labor camps in Chorzów and, in years 1944–1945, two branches of the Auschwitz concentration camp. Chorzów was occupied by Soviet Red Army in January 1945 with the subsequent persecution of many ethnic Polish Silesians and Germans. At the end of World War II, Chorzów (with the balance of Silesia) was re-incorporated into Poland. Generally, the Chorzów industry suffered little damage during World War II due to its inaccessibility to Allied bombing, a Soviet Army enveloping maneuver in January 1945, and perhaps Albert Speer's slowness or refusal to implement the scorched earth policy. This intact industry now played a critical role in the post-war reconstruction and industrialization of Poland. After the war, businesses were nationalized and operated, with minor changes, till 1989. Some were used as Soviet labour and concentration camps. Some industrial hardware and at least 100 000 Polish Silesians were deported to the Ukrainian Donbass region. At the "fall of communism" in 1989, the area was in decline. Since 1989, the region has been transitioning from heavy industry to a more diverse economy. On 28 January 2006, a roof collapsed at an exhibition hall, killing 65 people. See Trade hall roof collapse in Katowice, Poland. In 2007, Chorzów became a part of Upper Silesian Metropolitan Union, a voluntary union of a continuous chain of cities aimed at increasing the poor visibility of the area, improving its competitiveness, and modernizing the infrastructure. The region experienced several waves of migrations, including those commencing in 1945 (to Germany and from Poland and Ukraine), in 1971-1976 (to Germany), in 1982 (to Western countries), and from 2003 (to other countries of the EU). Chorzów is in the middle of the largest urban center in Poland. The recently (2007) formed Upper Silesian Metropolitan Union is the largest legally recognized urban entity in Poland with a population of 2 million. Nine million people live within 100 kilometres (62 miles) of Silesian Stadium in Chorzów. Six European capitals are located within 600 km (373 mi): Berlin, Vienna, Prague, Bratislava, Budapest and Warsaw. The average annual temperature in Chorzów is 7.9 °C (46.2 °F). The annual precipitation is 723 mm (28 in). Weak West winds (less than 2 m/s) prevail. Chorzów used to be one of the most important cities in the largest Polish economic area (the Upper Silesian Industry Area) with extensive industry in coal mining, steel, chemistry, manufacturing, and energy sectors. Many heavy-industry establishments were closed or scaled down in the last two decades because of environmental issues in the center of a highly urbanized area, and also because of decades-long lack of investment. Others were restructured and modernized. Wedged between a dozen of other cities, the population has been decreasing. The city character has been evolving towards the service economy as new industrial development takes mostly place at the border of the Upper Silesian Metropolitan Union. The unemployment rate is high (12.6% on 2007-12-31) but decreasing; the workforce is generally highly technically skilled. Chorzów is well connected within the Upper Silesian Metropolitan Union with bus lines and tram lines. 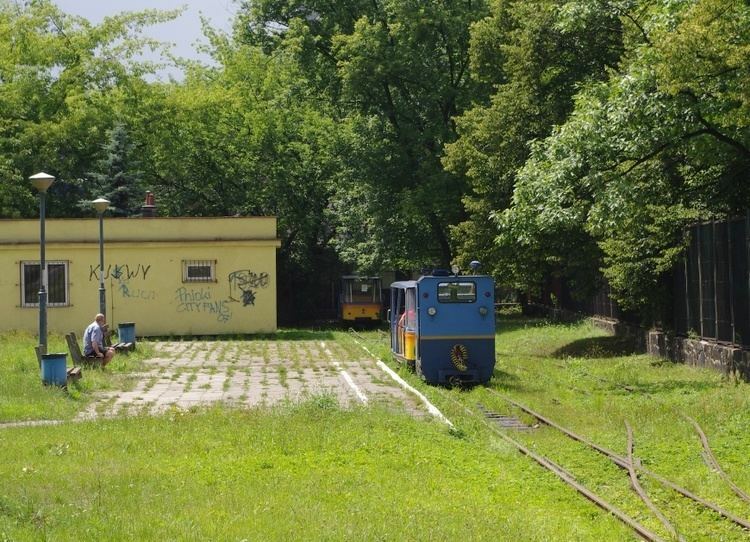 Silesian Interurbans is one of the largest streetcar systems in the world, in existence since 1894. The system spreads for more than 50 km (31 mi) (east-west) and covers the following cities: Będzin, Bytom, Chorzów, Czeladź, Dąbrowa Górnicza, Gliwice, Katowice, Mysłowice, Ruda Śląska, Siemianowice Śląskie, Sosnowiec, Świętochłowice, and Zabrze. Nearby cities of Katowice and Gliwice are far larger academic centers than Chorzów. Ruch Chorzów - a renowned men football team (14 time national champion, 3 time winner of the Polish Cup), and female handball team (9 time national champion). Historically notable is the former club AKS Chorzów. Silesian Stadium is a former home stadium for the Polish national football team, and used for international football games and other events (for example, it has held the Speedway World Championships four times, with the 1973 World Final attracting over 120,000 spectators, the world record attendance for Motorcycle speedway). It also hosts large music concerts, in 2007 it featured Red Hot Chili Peppers and Genesis. Leonard Piątek, Polish soccer star of the interbellum period. Adam Taubitz, German jazz and classic musician.